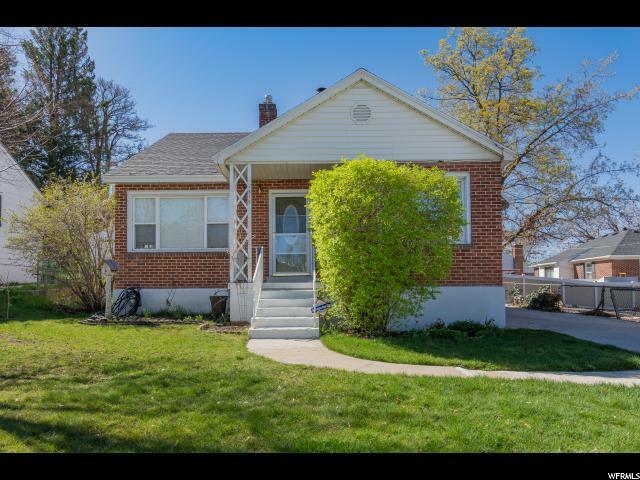 All ARGONRE PARK homes currently listed for sale in Ogden as of 04/20/2019 are shown below. You can change the search criteria at any time by pressing the 'Change Search' button below. "Welcome to this darling Ogden Bungalow. Home offers New Roof (stripped and replaced in April 2019),New Laminate flooring in basement, refinished Hardwood floors, all newer windows, Wood burning Stove, Large windows in kitchen provides lots of natural light. Electrical wiring is all updated except main family room and 2 bedrooms upstairs (by previous owner), Water Heater is 3 years old, Plumbing is all updated, New outside vinyl siding (2016), Installed thermostat for attic fan. .15 acre yard with garden, covered patio area and 1,000 Sq. ft. 4-Car garage offers amazing parking/storage space. Walking distance to schools, parks and beautiful mountain trails. Come and tour this home today! "